Peter Lubinsky, who doesn’t even like dogs, suddenly finds himself compelled to adopt a scraggly white mutt from the local shelter. It turns out that The Dog, as Peter dubs him, can talk and do magic! But he needs Peter’s help to rescue his former master. In exchange, The Dog will teach Peter enough magic to bring his father home from the Middle East, where he is deployed with the air force. So Peter embarks on an incredible adventure, flying through the air to the magician’s fantastic mansion: a wonderland of childhood delights, including a nonstop carnival with rides, games, and prizes. But as Peter’s magical power grows, he finds himself filled with dark anger. Is he turning evil? A bedroom full of dinosaur fossils, a waiter who was formerly a mouse, and an epic battle of magicians add thrills galore to this fantasy about the power of enchantment and love. I wrote my first story when I was eight years old. I was a voracious reader, and I was convinced that novelists were basically the same as magicians: how else to explain the fact that just by putting words on paper, they could create whole worlds? I wanted nothing more than to be a part of that magic. I now live in Los Angeles with my partner and our three children. I write; I work as an editor and writing teacher; I juggle playdates, music lessons, and cuddle time; and I don’t get much sleep. 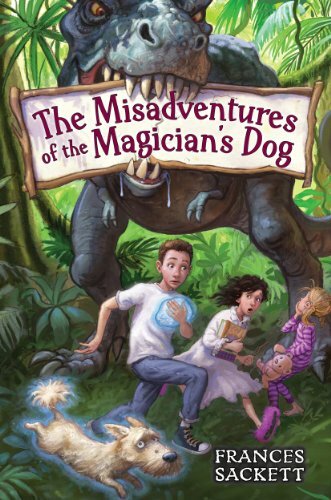 I’m currently finishing a new middle-grade fantasy, and many days I really do feel like a magician.